South Korea's Coast Guard reportedly fired 249 warning shots from a machine gun and other weapons as 44 Chinese fishing boats “swarmed” one of its patrol ships in South Korean waters Tuesday. "Chinese ships equipped with steel bars and wire mesh ignored the eviction warning broadcasts from [the coast guard] and rushed towards the patrol boat," a statement by the South Korean Coast Guard reads. "The Chinese fishing boats sought to swarm around and collide with our patrol ship, ignoring the broadcast warnings," the statement said. After more than 200 shots, the Chinese boats, which crossed into South Korean waters near Gageodo island, retreated. South Korean Coast Guard ships fired 180 rounds from an M-60 machine gun and around 70 rounds from assault rifles and shotguns in the incident. South Korean Coast Guard ships frequently chase away Chinese boats fishing illegally in South Korean territory, straining a relationship already complicated by tensions over North Korea's continued nuclear and missile tests and US military exercises nearby. China has previously expressed concern regarding the use of force by the South Korean Coast Guard. "China has always attached great importance to the management of overseas fisheries and has actively taken effective measures in relevant waters to maintain fishery production order," China's Foreign Ministry spokesperson Hua Chunying told reporters in Beijing. 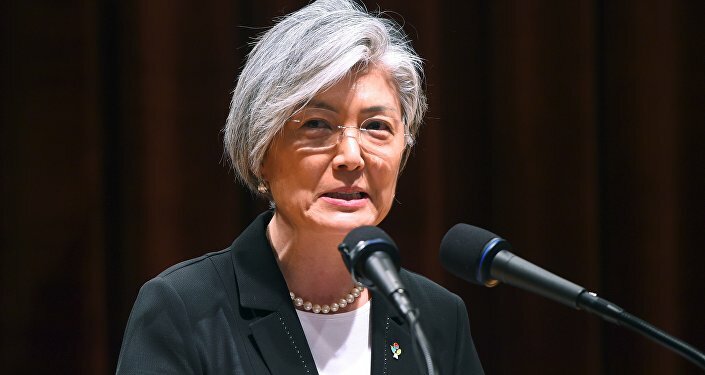 "We hope that South Korea appropriately handles the relevant issue and in the course of law enforcement takes no extreme actions that endanger people's safety," she added. Seoul's Foreign Ministry claimed that the coast guard was simply following domestic law in its use of weapons against the Chinese boats, which were a "mass violation of the country's water for illegal shipping," Channel News Asia reported. 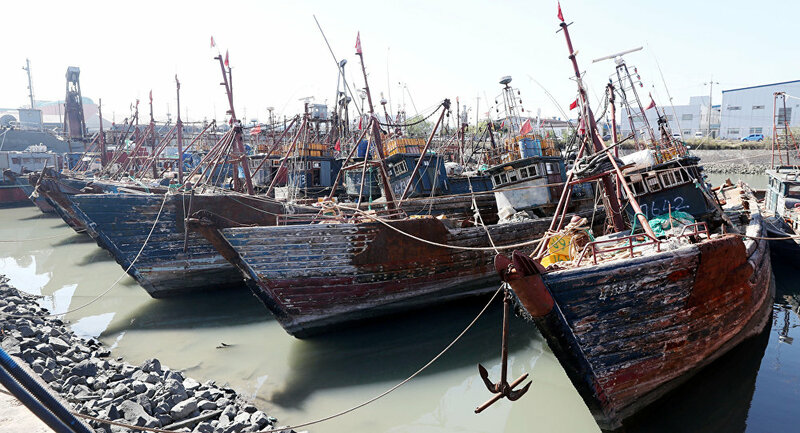 According to Asia Maritime Transparency Initiative analyst Lisa Collins, Chinese fisherman "take advantage of the standoff between North and South Korea to fish illegally" near the fisheries agreement line established in 2001 between the two nations. 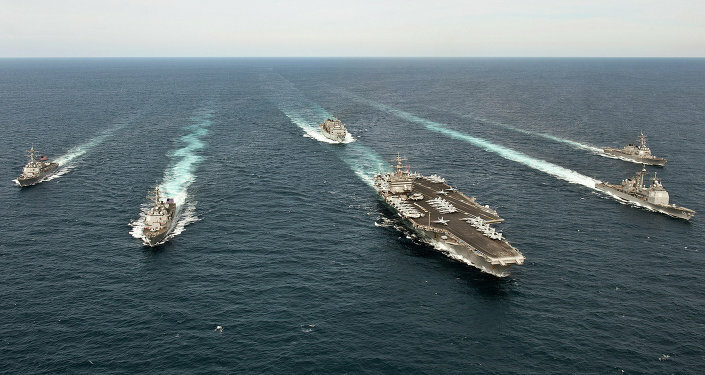 "The potential for third-party interference by North Korea in these disputes, or the use of North Korean waters by Chinese fishermen to evade capture, adds a complex dimension to an already intractable problem," she added. South Korea has a history of reacting forcefully when Chinese ships cross into its exclusive economic zone defined under the United Nations Convention on the Law of the Sea. Last September, three Chinese fishermen suspected of illegally fishing were killed when a South Korean Coast Guard threw flash grenades on their boat.